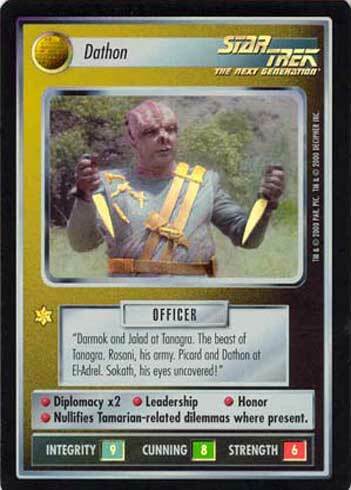 "Darmok and Jalad at Tanagra. The beast of Tanagra. Rosani, his army. Picard and Dathon at El-Adrel. Sokath, his eyes uncovered!" • Diplomacy x2 • Leadership • Honor • Nullifies Tamarian-related dilemmas where present.